(CNS): The opposition leader has accused the premier of attempting to manipulate election results with his latest comments about allocating a fifth MLA to West Bay for the 2013 national vote. McKeeva Bush has said that instead of having six seats in George Town to accommodate the increase in political representatives, he may add an extra seat in West Bay. Alden McLaughlin said there is no possible legitimate justification for the fifth seat in West Bay as the numbers do not add up. Such a move, he said, was an attempt to incorrectly influence the outcome of the vote because of his perceived power in that district. The Electoral Boundary Commission recommended two seats in George Town and one in Bodden Town based on the population of the capital, which now has more than 2,200 voters than West Bay, and the growing head count in Bodden Town, which now has an almost equal number to the premier’s district. By the time of the 2013 General Election that district is expected to have surpassed the number of voters in West Bay. Reacting to comments made by Bush recently that West Bay had greater needs and was one of the two largest district so it should have more representation, the opposition leader said it was about trying to hold on to power. McLaughlin pointed to the fact that nowhere in their report did the boundary commissioners recommend that another seat be added to West Bay for the obvious reason that the numbers do not justify such a move, which he said would be nothing short of gerrymandering. According to the latest election registration figures, there are now 3,692 voters in West Bay 3,455 in Bodden Town and 5,918 in George Town. Despite the obvious implications, the premier would not be breaking the law if he decided to ignore the boundary commission’s recommendations and add the new seats as he saw fit. McLaughlin noted that the constitution mandates thatthe boundary commission do the work and make the recommendations in accordance with best practice, but because the constitution allows for government to make “modifications” to the electoral law, it comes down to good governance. “If it could be described as a modification at all, it’s a significant one,” McLaughlin said but emphasised it was perfectly possible for government to go down this road. The opposition leader warned that the premier would be within the law to bring the proposed changes to the election legislation. It would be debated and because the government is in the majority, it would pass. McLaughlin said the only person that could stop the gerrymandering would be the governor since he would have to ascent to the law. Government must increase the number of Members of the Legislative Assembly by three before the 2013 elections, as mandated in the constitution. Although there has been some criticisms over the increase because of public cash issues, the opposition leader explained that it was the minimum number that the House could be increased by in order to accommodate two new ministers, including the finance minister’s post. McLaughlin said the UK mandates that the Cabinet must be balanced with enough MLAs that are not in the formal government body so that parliament can maintain a check on the Cabinet, which cannot me more than 2/5 the size of the Legislative Assembly. This meant that in order to accommodate the new finance minister’s post and an extra Cabinet minister, the number of MLAs had to increase by three. The UK, McLaughlin said, had recommended the size of the parliament be increased to 21 but during the negotiations the British representatives had accepted the increase to 18. In 2010 the boundary commission were then tasked with the job of finding where the new seats should go in order to maintain a fair and just voting system. In its report it says that the primary factors influencing delimitation of electoral boundaries are the population and or the size of the electorate in the country or other geographical unit. “The issue of gerrymandering of electoral boundaries takes place when the factors impacting on the construction of electoral districts are applied in a manner which distorts the boundaries to benefit a particular political party or candidate,” the commissioners wrote in the report. They used an accepted best practice to create the formula for Cayman in accordance with the existing natural boundaries. Given the current population of West Bay the commissioners did not recommend increasing the seats in that district. "McKeeva Bush has said that instead of having six seats in George Town to accommodate the increase in political representatives, he may add an extra seat in West Bay". CNS, according to the today's Compass article this was just speculation by the media and Premier Bush said "no such thing" and that he is only concerned that having 6 seats for GT is too many and was not wanting a 5th seat for WB. Were you correct in your reporting? Of course the Compass didn't explore with Mr. Bush what less than 6 seats for GT would mean for other districts given that he is intent on introducing 3 additional MLAs. Clearly the additional seats have to go somewhere. It just seemed keen on defending him. 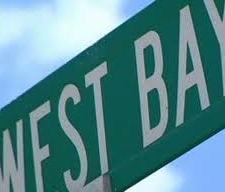 No, No, No…West Bay Don't need any more greedy candidates. We already got 2 not doing anything and 1 destroying these Islands and not listening to the voice of the people. Mose uh us tink one more politrixian is gud cuz dat meen more pliances. @Scratch, UDP has us back on track ?????????? Which planet are you living on ? This is the worst I have ever seen Cayman in 39 years and if we are back on track I would surely hate to see the alternative. The way that some of Cayman people are going on about the premier, if I was him I would do exactly what the PPM did. I would aquire and begin all projects and then hand them over for them to complete, because they will have to complete them or the people will wonder why not. What goes around comes around Cayman, so you may be faced with the same thing PPM did, then what will you do. I am sure Dart will not dome to PPM rescue. You obviously love McKeeva Bush more than you love your country. The 'Truth and Fact" (much better described in your case as utter bulls_ _t). Is that the UDP started the schools. Then as a result of the UDP's world renown incompetence, the schools were left for the PPM to finish. Then as a result of the UDP's relentless intent to completely destroy this country, they somehow managed to talk the Cayman voting public into giving the schools BACK to the UDP to finish, a job they remain unable to accomplish purely as a result of their world renown incompetence. The people are cross and angry about many of the Premier's actions including his suggestion to add a seat to West Bay, but what can we do about it? recently some 4000 petitioned and marched against one of the Premiers projects that obviously didnt have the support of the people. We express our disgust to our representatives and even write to the governor, the Press and FCO yet nothing is done. The ruling party members are complicit and the opposition members claim to be powerless to stop him. The masses are not happy with the state and direction of the economy, the crime and not to mention the perceived corruption! Can someone please let John Public know how we the people can get more accountability and better political action around here? Expanding the franchise and the right to stand in elections would help considerably, but those with the vote are too greedy to go down that route. Those with the vote are far too sensible to go down that route. There is no magic bullet unfortunately but there are many little things that will produce a positive change in the long run. Sign the petition for one man one vote NOW. Refuse to vote for any politician who does not commit to a much stronger set of anti-corruption laws than we have. Keep on posting comments so that we all know just how many of us are frustrated to the point of screaming by the mess our politicians have created. I am also tempted to suggest that everyone who is fed up with what appears to be blatant corruption sends in a complaint to the Anti-corruption commission (address below) It would be interesting to see what the FCO would do with5,000 or more corruption complaints against one politician. Maybe nothing, but I suspect that they might tighten the man's leash a bit and maybe decrease stupid actions if not stupid speeches. Listen to your fellow Caymanians who have the petition for the referendum for "one man one vote". Sign the petition, have your family and friends sign the petition. The present political system has brought Cayman down to a place many cannot believe. Unless you brake the strangle hold Bush and West Bay have on the country Cayman will continue to wither while the rich get richer. On another important subject. Well it seems like the Elections office is going dead again, even after the Honourable MLA from East End brought it back to life through the LA last year, and the Voters Lists started being published again. Case in point, I need my Voter's ID card, because I don't have a Driver's Licence, and I can't get my Voter's card from that office. It could never be a money shortage at the Elections office, seeing the hundred of dollars Government is spending on full page ads in the newspaper announcing their political rallies and broadcasting the meetings on television. Then, giving East End hundreds of dollars for projects in that District, thus promoting the wanna-be MLA for that District. Why can"t the Election office be operating efficiently? Does government want to close it down all together? The Governor and the New Deputy Governor needs to get it running properly. The situation is unacceptable, seeing that there will be a General Election in 2013. It’s not ‘hundreds of dollars’ for the east end projects. It’s hundreds of thousands of dollars. It runs the same as everything else government run. Caymankind. That means it eats up 4 rimes the money and works half as well. Your not used to it yet? We write to the Governor, the Press, the FCO, NOTHING HAPPENS!!! Do you ever wonder why? Is there someone capable, willing, to educate these politically ignorant bloggers, as to the true political situation of our country? Power to the people, the opposition seeking power, investors accused of wanting power to control Government. Is that a revelation? Democracy is not flawless. In most so called democratic societies, it is the wealthy who are in control. Since the late sixties, we the people of the Cayman Islands decided that PROGRESSS and DEVELOPMENT was our way of moving forward! Well there are negatives that come along with that, some of which we are experiencing today and of course, we, the people, must find someone to blame, so it has to be the current Government. Mind you, I do not think anyone is blameless, had our so called development been monitored properly from the on set, some of these issues that we are now faced with, would not exist. In any developing country, there has to be proper legislation, laws, put in place as we grow as a country. Unfortunately, all administrations failed us in that respect. If they had'nt, we would not be faced with all the transparency issues.Development and Legislation go hand in hand. Blogger at 11:36 stop using the small brain mentality of your leader and educate yourself. All Alden is simply doing is educating the general public on what processes took place in putting together the Constitution, what's in the constitution and what's already is the Electorial law. Educate yourself and elevate yourself above the small brain syndrome that most of the UDP supporters are suffering with. Christ! You small brainers makes Caymanians looks so bad on the world stage. BTW I am a young West Bay Caymanian trying to understand our systems. I will not be fooled by the old politrickers. You will only allow yourself to be fooled by the young politrickers! Good luck young West Bayer, my heart goes out to you. Good bye keke you have damage this country since u took over u rose the price of gas which effected everything kn cayman & the crime rate went up since u took over, let’s get keke out of here!!!! PPM Alden will now try to redeem himself again. Em betta spearhead this! So we add a politician, which is high salary. In return the cost of Government goes up. Then they cut lower level civil servant jobs. Sounds like plan for disaster. Fire and Brimstone surely will fall on the just and the unjust, but what about the idiots who write but have not read the constitution ofthis land. Lord have mercy on them . We must stick to that rigid, unwritten Cayman Law of Politics. You CANNOT be crooked AND stupid. Confuses the people. You dam right with that headline. There's already four down there and two that we barely see. Cline going to Law school full time. Eugene practising up saying "Aye". You are obviously behind the times. Cline finished law School two years ago. The last thing i heard of him was a disagreement with him and mckeeva over the Port and GLF. For a while he was leading the For Cayman Investment Alliance negotiations but havent seen him with that for a while either? Eugen is still doing his thing. Boy this man is scrambling around. I have had enough. I write very well and I am going to take as long as it takes and lay out for the FCO everything that has gone wrong since 2009, every way in which they are failing in their duty and what they must do to fix it. I am looking forward to it! Please have plenty of paper on hand. I am on the fence in terms of Cayman's political parties, but if this actually happens I would urge all Caymanians to vote against the UDP in the upcoming election. I will not support any party which is so blatantly anti-democratic. 09.13 I say it is better to save your breath, because we may make some changes, but United Democratic Party will Rule again. Where were you when PPM almost wiped us off the map. Thank God that Mac tried ever page in the book to get us back on track. Yes it had to take some Millionaire,s money but so what he did it. SCRATCH, you got me scratching my head trying for the life of me to figure if you are simply naive or playing ignorant and just having a little sarcastic fun on this forum. Frankly, I hope it is the later, because if not, this island is in for one heck of a ride down a very steep and twisty road if the majority shares your rather skewed opinion. If you are genuine in the words you take time to write, that means that your understanding of right and wrong are completely and utterly nonexistent. Consequently, it will be a waste of time drawing your attention to the facts that McKeeva has purposely been “economically starving” this territory for his own selfish political goals. Bushwacker, you are writing nonsence, because if you were not you would list on here what projects the Premier is starving the country of. Hello! !, he cannot even write something on paper when you people are stamding by with matches. Give up the stupid thoughts and for once concentrate on the facts will you. Hey Scratch Check Mate! – I knew your limited capacity would lead to this question and or comment. Therefore, please find below a succinct overview of just a few of such instances of “economically starving” this territory for his own selfish political goals. It is not unreasonable to say that Mr. Dart has the wherewithal to commence any project he desires and at anytime. It is fact he owns the Yacht Club, the Old Holiday Inn/Courtyard Marriott, Tiki Beach and the list can go on and on. Mr. Dart purchased the Yacht Club and the Courtyard Marriott sometime ago knowing full well of their circumstances. Therefore, he could have started developing the Yacht Club and the organizing and putting back the Hotel in good stead because to reiterate, he purchased them knowing full well its situation and configuration. Yet, these projects which have been in existence in excess of one year now are in a hovering position. Why?! The Port Project; by all accounts inclusive of the KPMG Report, the Port Authority’s Attorney; Priestley’s Attorney-At-Law recommendations, GLF offered a “fair and reasonable” (please bear in mind “fair and reasonable” is a legal term) contract to the people of the Cayman Islands. As I write this response to you, pursuant to plans and agreements that were underfoot, the Port would have been in its first quarter of construction and hundreds of persons will would have jobs and the economy was have been stimulated. Yet, this “fair and reasonable” deal was squashed by your savior McKeeva losing in excess of $3million dollars in the process! Again Why?! The Garbage Dump/Mount Trashmore by all empirical evidence was awarded to one of the World’s foremost companies in the Waste Management business by the Tendering Committee tasked with this mission. Pursuant to their report, they did as requested and was extremely cognizant of “all factors” in the grading scheme. As I am writing this response to you this project would have been in its first quarter of operation, employing hundreds of workers thus further stimulating this economy. Yet, this “fair and reasonable” deal was squashed by your savior McKeeva! Again Why?! I can go on and on of the poor and harmful actions taken by your Leader McKeeva but it will take reams of paper and frankly, I am confident I will lose your attention, if I have not already. Nevertheless, this is part of his selfish strategy. You will see not less than twelve months from the General election in 2013 various projects being started, such as but not limited to parks in Private Subdivisions like The Frank Hall Homes sites, projects in East End, homes in West Bay that have been completed in excess of six months and currently vacant and shuttered, filled with families by Christmas, whist they are languishing now, the Berthing project would commence, the closure of West Bay will take place all on or about one year from elections. This has been McKeeva’s modus operandi for years, decades even. Then he will get up during the campaign trail and tell the people of this territory that look what he has done. You were starving for years now I got you work now you “gonna wan put somebody else in deh house dat gonna tak it all away again so ya can continue to starve”?! In closing, if you could not have realized by now, those few issues mentioned above, it is reasonable to say that you are indeed so far involved into act of poor governance that you could not in any way comprehend the concerns expressed by the general public. Nevertheless, for all those who maintain an open mind will certainly agree with my take on what is transpiring. My sincere hope is that you loosen your tight grip on one view that could hinder your growth, in order that you embrace varying perspectives that could be enlightening and encouraging to you, your family and sphere of influence. For your information and betterment; I would strongly urge you to take care of that Scratch immediately; people are not comfortable around those who scratch frequently for fear of catching and spreading social ills! Man it seems that somebody has a hard time opening his mouth without something coming out that sounds like official corruption. I sincerely believe that the Premier should consider giving the extra seat to Little Cayman. One for George Town,……., one for Bodden Town,……. One for West Bay……… and one for Little Cayman. That is just arbitrary nonsense. I don't know why your tag is truth and fact because you didn't offer any of either. The total is 15,175. LC probably has no more than 20 voters. If we separate LC and reckon the number at 20 that would give us 0.02 MLA which should be rounded down to zero. As you can see CB/LC should really have only one MLA. Hopefully you can see why your proposal is ludicrous. just go to a proportional voting system. you can vote for anybody who stands and the person with the highest vote becomes premier. EE and NS should be combined to 1 seat. Also 1 seat for the Sisters. Drop one off WB and GT and start making things work, especially the $$. A community of this size does not need more than 6 to 8 reps. Get real! So if I understand you correct you are saying that we should only have 6 representatives. One in each district. Wwell yes I would agree for that with a good leader. Thats ok. It's not polite to SCRATCH in public sir. Congratulations, if that thought makes you so happy you're obviously starting to wake up. The country is almost bankrupt and he has the audacity to even consider putting another seat in????? "Sounds like"?………. Did you say "SOUNDS LIKE? The Cabinet has power under the law to do lots of things, but if they exercise any of those powers to gain any kind of advantage for themselves then isn't that a form of corruption? Surely gerrymandering is a form of offficial corruption which should be reported anddealt with accordingly. is guilty of a criminal offence. In other words gerrymandering is an act of corruption and therefore any appearance or suspicion of gerrymandering should be referred to the appropriate authorities. Hopefully the Leader of the Opposition will do this. If he does not perhaps someone else will show leadership. It would seem that the cabinet status grants that even without payment or favours – fall under this definition of corruption. Many in authority received such a grant. Who am I to refer act of corruption to? The complaints phone number, email address and postal address are given there. An act of corruption is a criminal offence so in theory it can also be reported to any police officer but if it were me and it was not specifically involving the police I would report it formally to the Commissioner of Police who sits on the Commission. Note that the Corruption law came only came into effect long after the 2003 Status grants. It is like a broken record. Get over it. The grants are done. It is too late to do anything about them and no-one did anything at the time. Now let these people vote and get on with their lives. Alan, for those that were good people and had lived here for more than 10 years I agree. However, for the criminals, those that continue to treat Caymanians with disdain, any that paid money under the table, and those that offered favor in return for a grant will andshould continue to feel unwelcomed and have no part in this community. It is such bitterness that is destroying Cayman today. But the only progress can be when the rest of the population accept that the grants are done and move on. Alan, the bitterness you describe is not without basis. It used to be that if you became Caymanian you had been vetted. There was a very high likelihood that you were a solid contributor to the society, that you truly loved the Cayman Islands and their people. Most Cabinet status recipients fall in that category. However, there are a number of recipients who act as if they despise the people of these Islands. They continue to refer to themselves as being foreign nationals, at best treating their status as a convenient means of making money before returning ” home”. They still send much of their money overseas. Some enter into fronting arrangements with their friends/ compatriots from overseas further disenfranchising Caymanian people from a role in the economy. Some refuse to employ Caymanians and mock the immigration authorities incompetence in any attempts to deal with issues. To make it worse, there is at least the prospect that some bribed their way to be in that position. That latter category needs to be identified and removed. Once that has happened, then the bitterness will quickly subside. You attempting to defend the indefensible, and telling the victims of what amounted to an assault on the core structure of their previously stable and welcoming community that they should just forget about it, is not part of the solution. If you want to resolve the issue call out the ” bad eggs” – and at least pressure a change in approach by them. I have an idea, call me crazy! And yes, this is a real idea. Why not install more Chief Officers, as some (not all) do have way too much oversight in terms of numbers of Civil Servants/Authorities/GOE's/Deparments INSTEAD of adding more MLA's to the mix, who frankly don't have (or aren't suppose to have) direct say in the running of the Civil Service. Of course, I know some will push back, but it seems to me a Chief Officer is (or shoudl) be more effective in running the day to day operations of the Civil Service. Hmm..So Caymanian people would rather have more MLA's than Chief Officers? Not sure that makes sense since MLA's just oversee everything and Chief Officers actually do the running of the day to day operations. Has anyone looked at a Government chart and seen ho many entities fall under each Chief Officer? He knows that Alden. He might not be that bright but he not fool either. Its a smokescreen for something else he got up his sleeve.